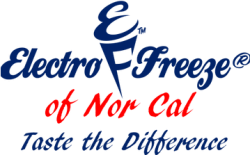 Electro Freeze of Norcal is a distribution company in Sacramento. Electro Freeze has earned a solid reputation for reliability, performance, customer service and sales. We have grown to be a leader in the ice cream distribution industry, offering a full range of services, high-tech equipment, and supplies. Electro Freeze is a successful and expanding business with many career opportunities and we are excited to discuss these possibilities with you!